Your opinion matters. Leave your review of Doors Of Hope Women's Shelter. Description: The only shelter in the Southbay area for single women. This is a 7 night stay. intake is done 9am-noon M-Sat. Call first for availability. Office hours: Mondays through Saturdays (except Wednesdays) 9am - 12 noon. One Wednesdays we are open from 10am - 12 noon. 7 nights ESS (Emergency Shelter Services) for single homeless women. 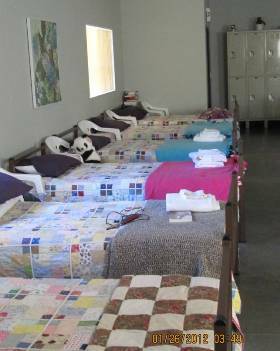 Includes showers, laundry facilities, clean clothing, and meals. Chapel services every evening at 7:00 p.m.
Dinner each night following chapel service. Do you have items to donate? Contact Doors Of Hope Women's Shelter at the phone number provided above to see if they can use any items you may have to donate.